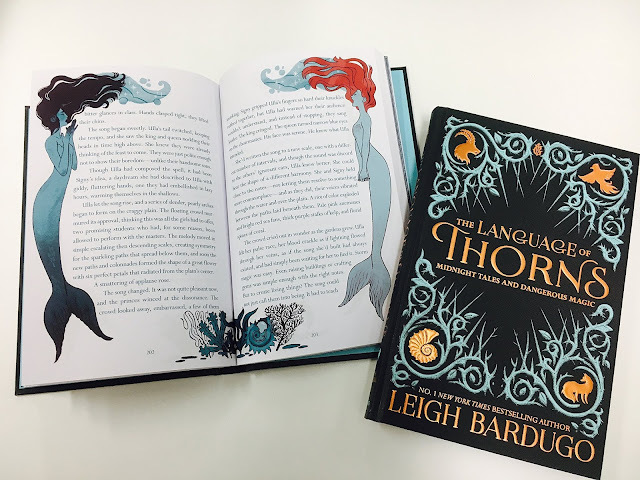 Perfect for new readers and dedicated fans, these tales will transport you to lands both familiar and strange - to a fully realized world of dangerous magic that millions have visited through the novels of the Grishaverse. This collection of six stories includes three brand-new tales, all of them featuring a stunning illustration by Sara Kiplin, as rich in detail as the stories themselves. 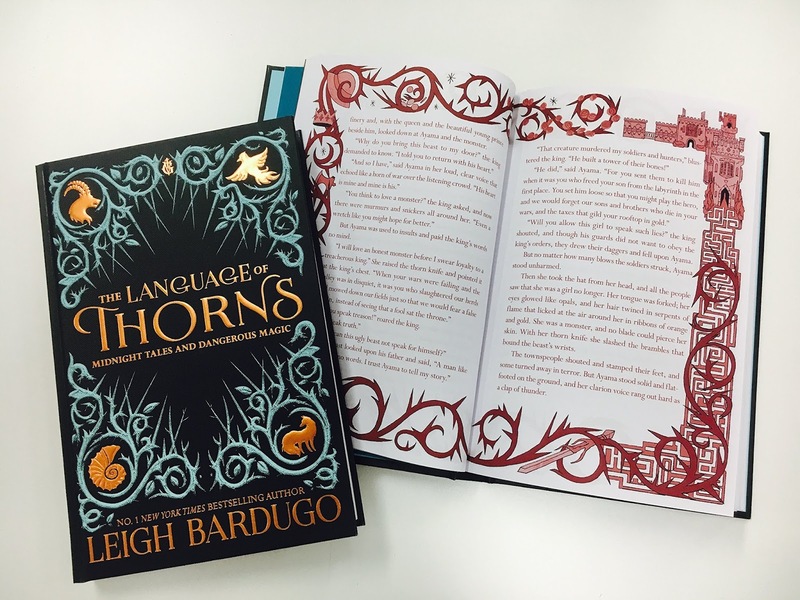 The Language of Thorns is a collection of six short stories set in Leigh Bardugo's Grishaverse. Three of these stories had already been available to read on the Tor website for free but I'm thrilled to see them in print for the first time, especially in such a beautiful book. 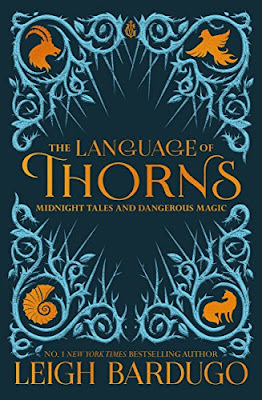 I'm still waiting for my hardback copy to turn up (I read the kindle version) but you only have to look at the photos posted on Amazon's description (see below) to see jut how gorgeous it is and I love the stunning illustrations by Sara Kiplin that can be found throughout. Leigh Bardugo talks about the fairytales that inspired her stories in her author's note at the end of the story and she's definitely captured that feel to her fables so anyone who is a fan of the Brothers Grimm or Hans Christian Anderson will love these. 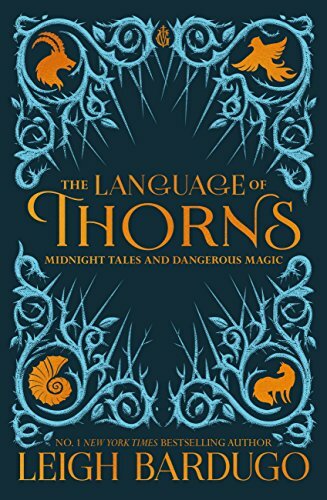 Although the stories are set in the Grishaverse they aren't linked to any of the previous books in terms of timeline so this book can be read as a standalone. I'm sure you'll fall in love with the author's gorgeous writing though and I'd highly recommend all of her books. 1. Amaya and the Thorn Wood - This story is kind of a mash up between Beauty and the Beast and A Thousand and One Nights with a sprinkling of the Minotaur in his labyrinth. It doesn't end how you'd expect it to and this was probably one of my favourite stories in the book. 2. The Too-Clever Fox - This is one of the stories that has been available to read on Tor's website so it was my second time reading it. There are tiny hints of Red Riding Hood but that's more to do with the feel of the story than the plot, I loved Koja's character and didn't spot the twist coming on my first read. 3. The Witch of Duva - The second of the stories I'd already read online this story is definitely inspired by Hansel and Gretel, it has everything you need for a good fairytale - a witch, an evil step-mother and missing children - but comes with a brilliant twist at the end. I'd completely forgotten how this story ended so it shocked me just as much on a reread. 4. 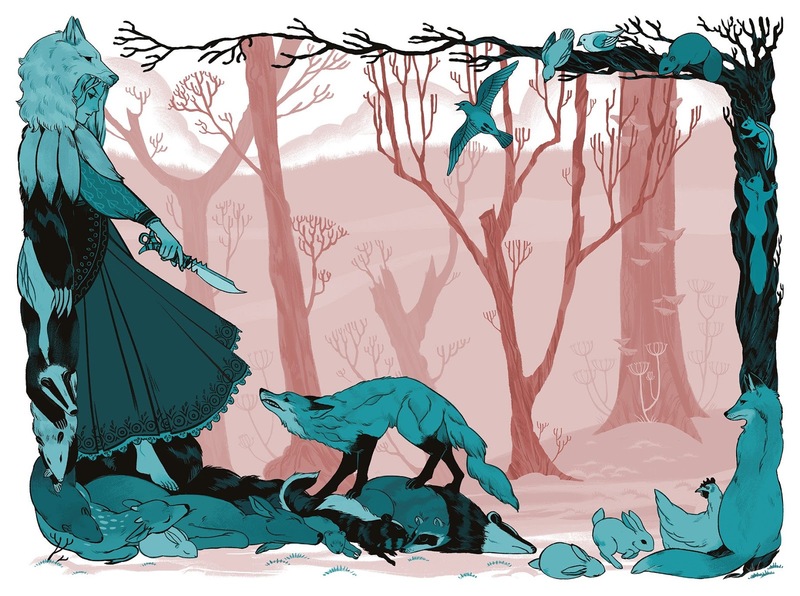 Little Knife - Last of the stories from Tor's website, this is about a father setting impossible tasks to his daughter's suitors to decide who should be her husband. A good reminder to be careful what you wish for, if you get too greedy you may end up with more than you bargained for but it'll probably be what you deserve. 5. The Soldier Prince - Inspired by the Nutcracker this was a really creepy story full of clockwork toys that are magically bought to life that raises questions about what it's like to be real. It has a great twist at the end and I kind of want to read a sequel! 6. When Water Sang Fire - This is the only story that includes a character from the Grisha trilogy and I think a lot of fans are going to be excited when he puts in an appearance, I won't say who because of spoilers but he's a popular character. I will warn you that he's not the main character in the story so don't expect it to be all about him but it was fun to spot a familiar face. 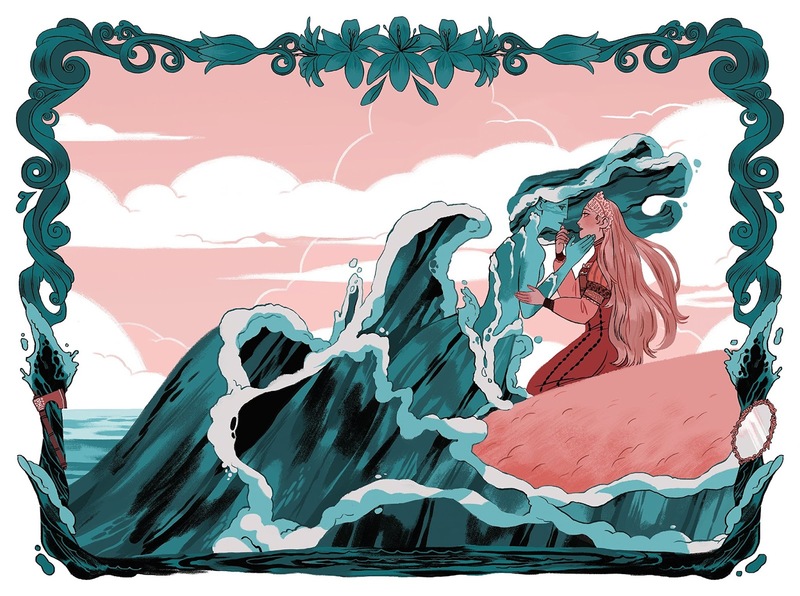 Anyway, this was a Little Mermaid retelling and it was brilliant, a very fitting final story for the anthology.